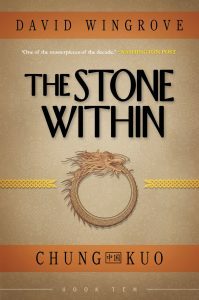 It’s been fairly quiet on the Chung Kuo front these last few months, but Mr. Wingrove has announced on his Facebook page that Book 10: The Stone Within will be published within the year with the exact date to be known hopefully soon. Following the cover art style from the first nine books in the Fragile Books re-release, here’s the ouroboros-themed cover for the volume (click for full size). Personally, I’ve recently started a re-read of the Chung Kuo saga. 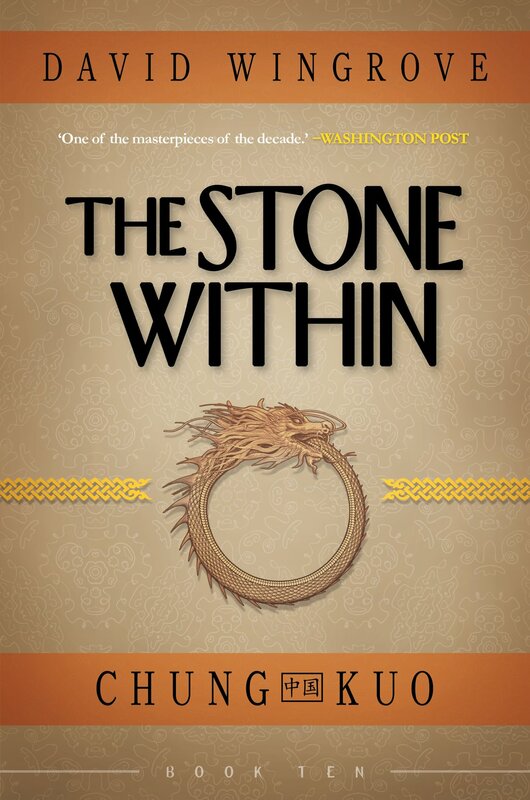 This will be my third time on this journey and I’m currently on Book 3: The Middle Kingdom. Part of this is me missing the story and involvement with this site; another part of it is just procrastinating on my PhD dissertation. Anyone else out there doing another read-through? Feel free to drop a line below.